RSVPs | katie & luke are getting married! So! 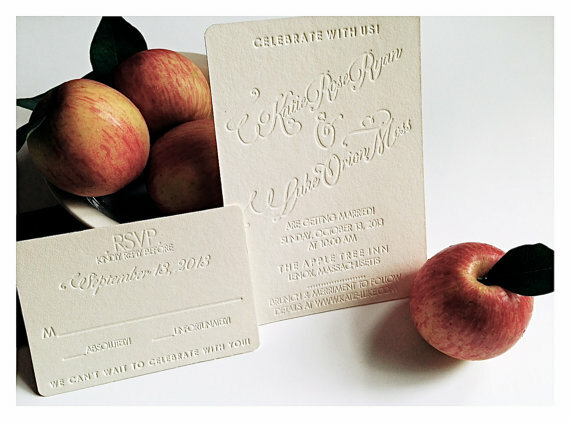 You received your wedding invitation– we hope you love it!! They were lovingly handcrafted by the very talented Kim Pinkston of Nashville, TN; check out her Etsy shop here! Please mail us your RSVP card by 9/13 so we can plan for catering!! When filling out your RSVP card, it would be a huge help for us if you could write the number of guests attending/declining on the “absolutely!” and “unfortunately!” lines. We’re planning on a small wedding; we’ve invited our immediate families and a very select few friends and extended family members, and unfortunately, that means that both Katie and Luke have loved ones who will have to celebrate from afar. We ask that only invited guests are in attendance; we wish that everyone could come celebrate with us on our big day– we just can’t afford it. If you have questions or you think your situation may be a little different, feel free to shoot us an email at ryanmosswedding@gmail.com.